Where can you find a recent list of Contaminated Cities? 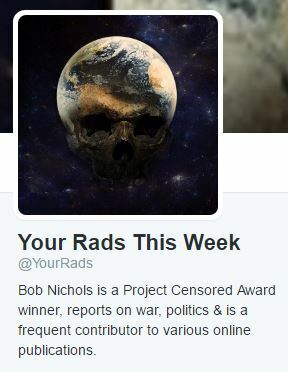 Bob Nichols – Columnist, Project Censored Award winner and a frequent contributor to various online publications. 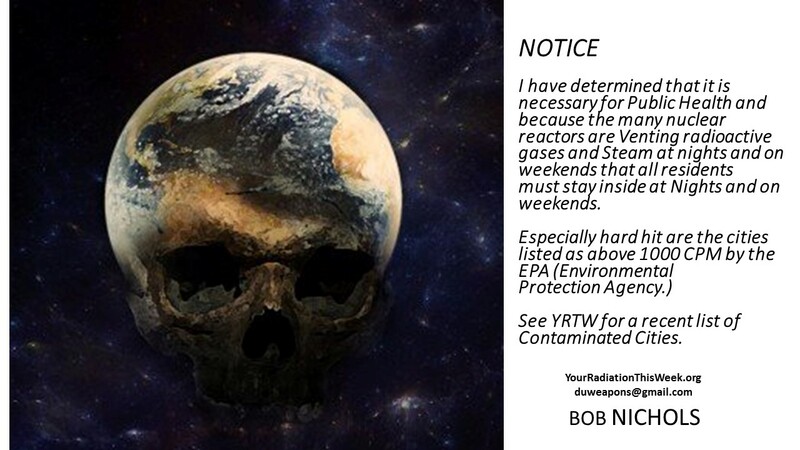 Blog: Bob Nichols Said WHAT About Your Radiation This Week!?! Blog: Bob Nichols Said WHAT else?! 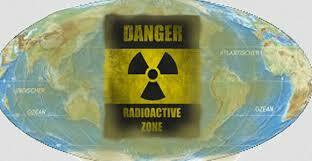 Your favorite bloggers may also be sharing Your Radiation This Week… accept no imitations. Look for the links. 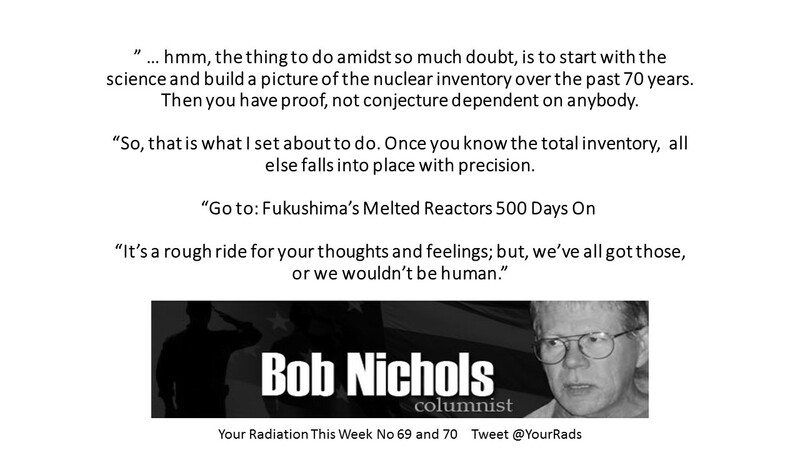 Nichols on Nuclear – Fukushima and More . Copyright by Bob Nichols @ 2016. Reproduce and distribute, give full attribution to Bob Nichols at duweapons@gmail.com . Be sure to see the Notes and Sources…. and take all possible precautions. Protect your children. GIVE KIDS A CHANCE.